I've avoided reviewing The Shade 12-issue mini-series since its' first issue because I wanted to consider the whole of the series before passing judgement on the individual parts of it. I've reconsidered that in light of this final issue, simply because I had to share the splendid irony of it all. I do not know if it was by fortune or design that this issue - which details the origins of The Shade - should come out now in the middle of DC Comics' Zero Month. I am deeply amused, as I am sure The Shade would be, by the timing if it is a coincidence just as I'm sure everyone's favorite shadowy anti-hero would be amused that a mini-series detailing his life story ends with its' beginning. I think Shade would also be amused how - like the man himself - the story is a mixture of American and British sensibilities, curiously melding the styles of Dickensian drama with Lovecraftian horror. Fans of the James Robinson's Starman series already know the generalities of how merchant Richard Swift was transformed into a being of living shadow who dubbed himself The Shade. But until now no story has ever gone into the sordid details of precisely how it all happened or described the role that Charles Dickens (one of the rare few who knew The Shade both before and after his transformation) had to play in those events. The grand irony is that while this is an origin story, long-time readers of Robinson's work are the only ones who may fully grasp the greatest of this story. Robinson's script is once again ably illustrated by Gene Ha, who delivers the work of a lifetime. Ha wisely uses his inks sparingly, limiting his shadows while allowing the original pencils to be emphasized by the color. Colorist Art Lyon, too, deserves a lot of praise. 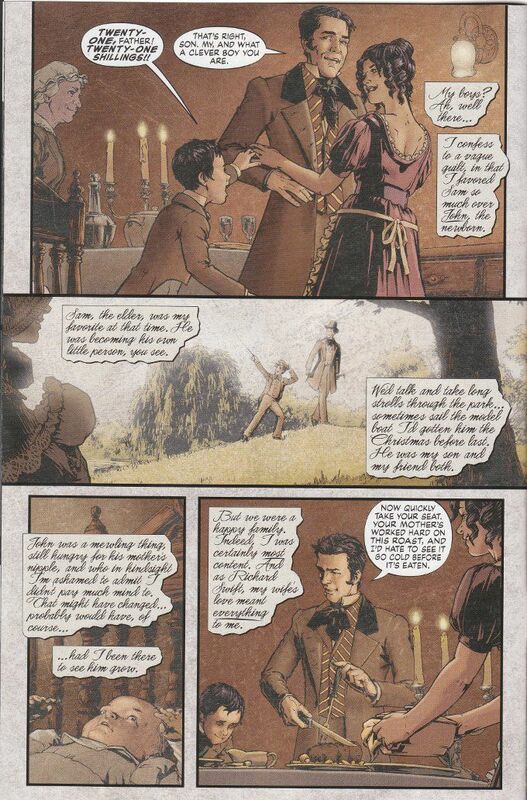 The early pages, depicting the day-to-day life of London in the early 1800s are colored in muted grays (if one can be said to color anything in muted grays) that illustrate the mundane nature of Richard's early life. 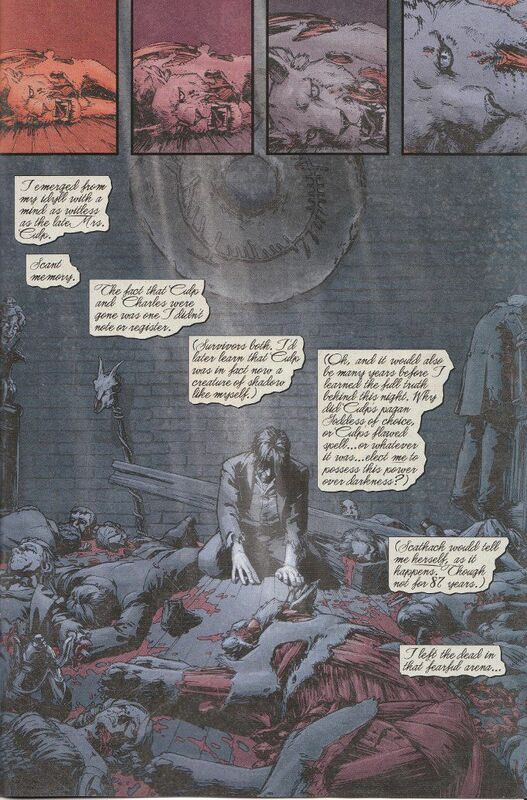 It also helps to throw the horror of the more colorful later-pages into sharper contrast. Expect a full review of the entire mini-series at a later date. For now... well done, Mr. Robinson. Well done, indeed.